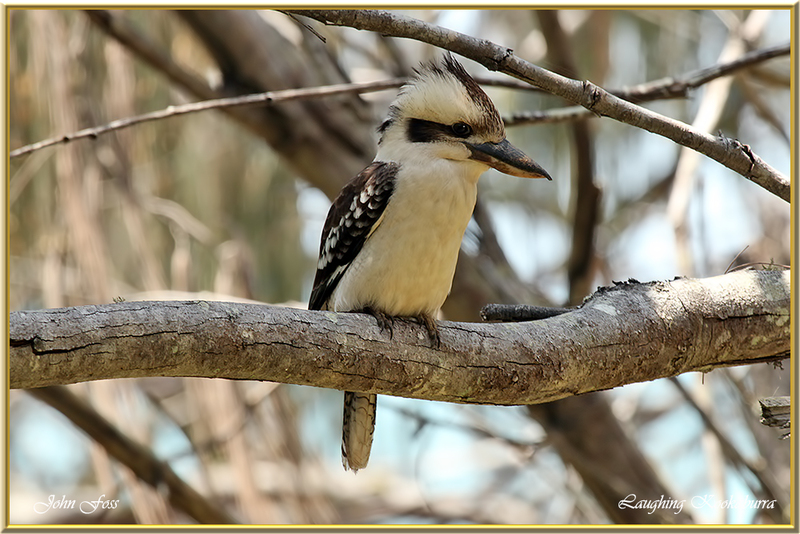 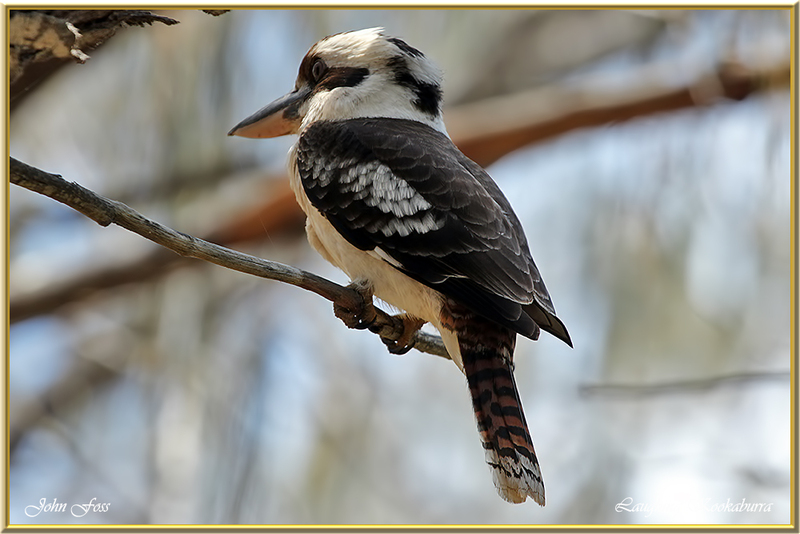 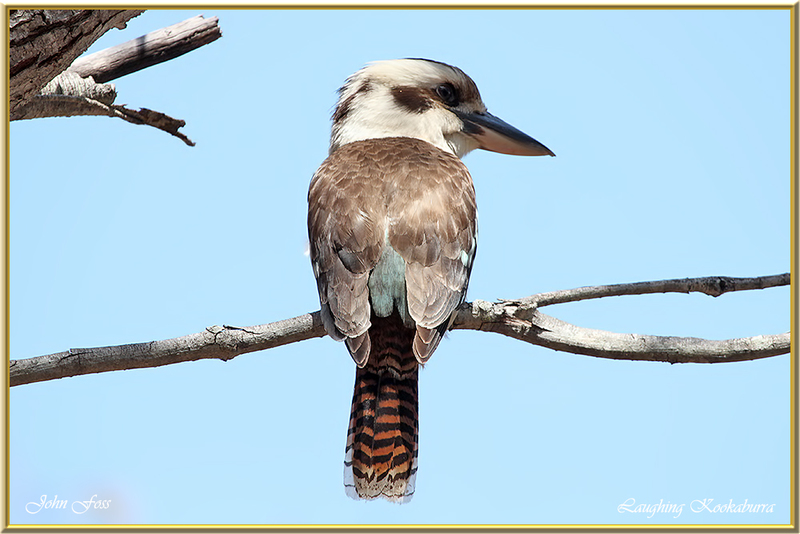 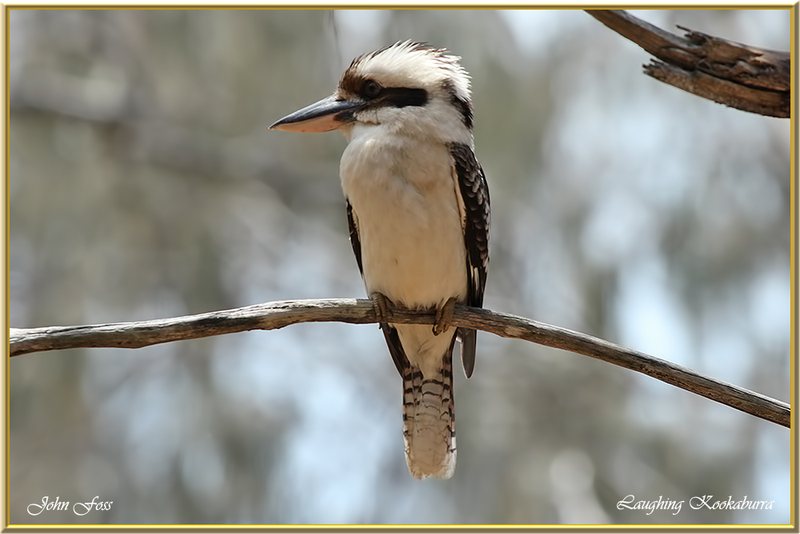 Laughing Kookaburra - is a large robust bird in the family of kingfishers. 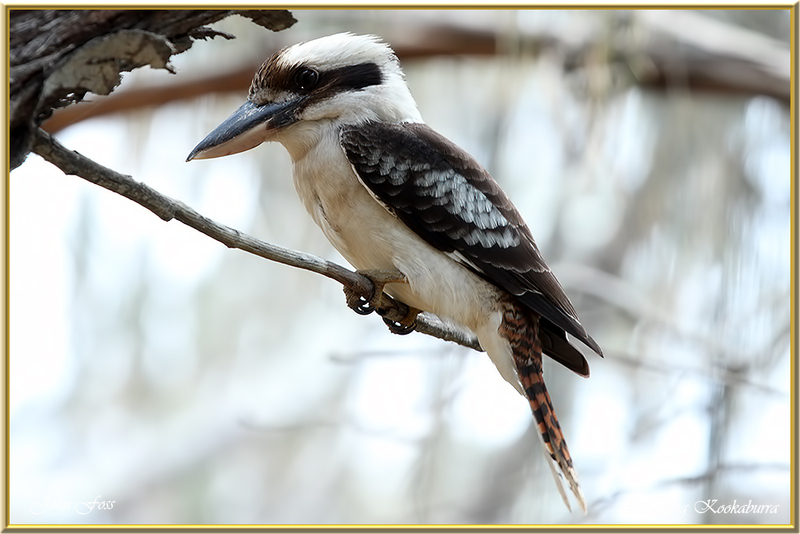 It inhabits dry forests, woodlands and gardens where it perches searching the ground for insects, beetles, snakes and lizards. 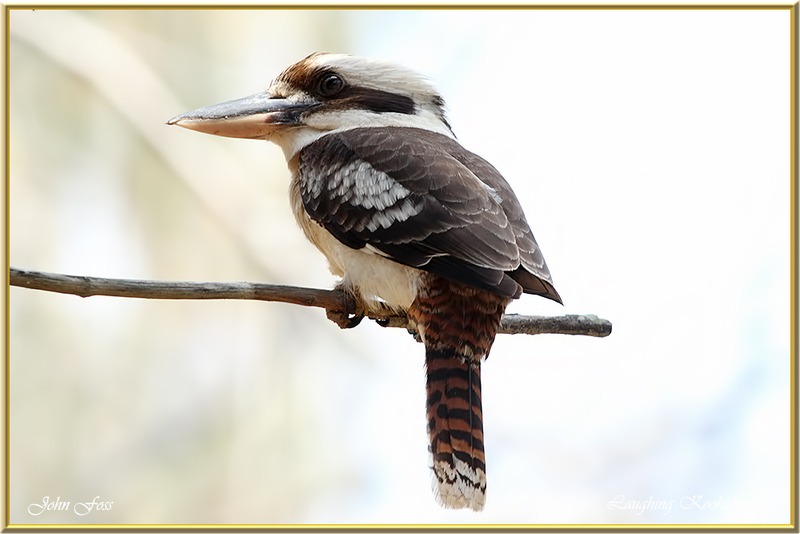 So called because of the distinctive territorial laughing call. 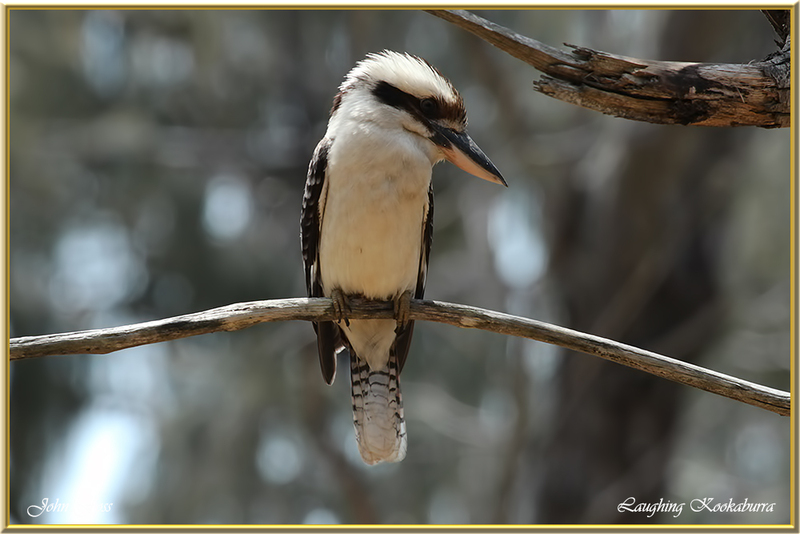 They are native to eastern Australia where these photographs were taken. 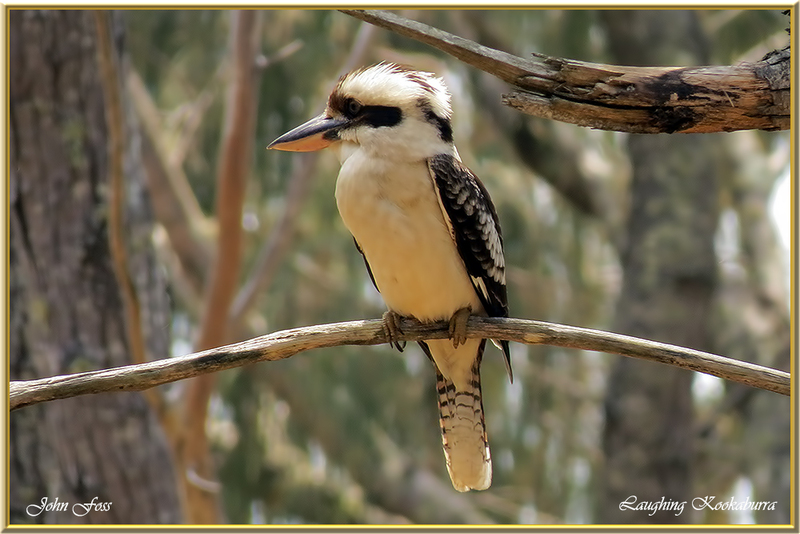 A wonderful sight for me when I came across these birds in Bundaberg Queensland.